Mary Jones World0808 1784 909work Heritage CentreMary Jones World is a new state of the art visitor and education centre that tells the story of Mary Jones and Thomas Charles, and the impact of world's best-selling book – on Wales and the world! Step back in time, follow Mary's journey, and explore what happened next through multi-media and interactive displays, exhibits and activities in our redeveloped Grade 2-listed building. 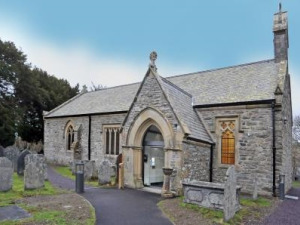 Set on the edge of Llyn Tegid, with a picnic area, facilities and children’s playground, Mary Jones World offers a great time out for children and adults alike. During November to March, the centre is open to school visits and group bookings only. To arrange a booking or for more information, please contact Nerys Siddall, centre manager. Mary Jones World will re-open daily (including Sundays) between 10 am - 5 pm on Saturday 1 April 2017. Last entry at 4 pm. Travel south from Bala on the A494 for a mile; entrance on left, just before the Llanycil village sign.